Patch 1.08 is now available for NBA Live 18, and it’s an update that a lot of basketball gamers have been waiting for. Not only does the latest title update include a variety of new shoes, it also adds full roster editing to the game! 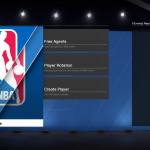 Roster editing functionality has been absent since the series was rebooted in 2013 with NBA Live 14, and as such, it’s become a fixture on our Wishlists. It’s great to finally see it return, and in a post-release update, no less. The new roster editing functionality includes the ability to change heights, weights, years pro, numbers, ratings, gear, traits, and playstyles; basically, all player bio data. Players can also be traded or assigned to other teams, as well as cut and signed from the Free Agent Pool. There are also 135 slots for created players, which is a pleasant surprise. Once you customise the roster, you’re able to take it into Franchise mode, just as in years past. As always, the latest patch will come through automatically as long as your PlayStation 4 or Xbox One is connected to the Internet. If you encounter any issues, try restarting your console. This is obviously excellent news, and as we’ve mentioned on the NLSC Podcast, something we didn’t expect to see happen until NBA Live 19. We’ll have more reactions in Episode #230, but in the meantime, feel free to add your thoughts in the comments section below, as well as here in the NBA Live 18 section of the NLSC Forum. If any additional patch notes are released, we’ll be sure to follow up and post them. You can also find an update history for NBA Live 18 here in our Wiki. It’s a big step forward, and great to see. this is a great addition, but why is it that after the 1.08 patch, when u play a quick game against cpu and change/alter the starting lineup for both teams it doesnt go thru to the game, it cant be changed unless u sub it in ingame. little issue but annoying. especially if u dont want to play against players that are injured/inactive & should not be in the active ingame roster. also tried to fix it myself but when u try to fix all the lineup rotation yourself in the roster edit, u cant fix every team. couple of few teams in and the game crashes, just my two cents.